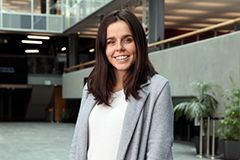 Her passion for planning and managing events started in secondary school, says AUT event management alumna Georgia Drew. "I've always loved making people happy and enjoyed providing them with a great experience. It started with planning parties when I was in high school, and I soon decided to pursue event management as a career." After graduating at the end of 2016, Georgia travelled to New York to manage events for high-profile PUBLIC Restaurant. She got this sought-after internship through the AUT Internz International Scholarship Programme. Her time in New York also opened the door to her current role at Collective[i]. "After my internship at PUBLIC finished, I actually got offered a job at the company I'm with now. I work in marketing and events and am absolutely loving it!" Her AUT degree prepared her well for her career, Georgia says. "I really enjoyed that we were always encouraged to get experience while studying. I think that makes me stand from other people when applying for jobs." Her workplace experience in the final year was a highlight of her studies. "In my third year, I was involved in event management for the biggest music festival in New Zealand, Rhythm & Vines. I absolutely loved it! I worked with an amazing team, gained a lot of experience and it was so much fun." Get involved with as much as you can, Georgia advises. "Get as much experience as you can while you study – it doesn't just help with what you're learning but also puts you ahead of other candidates when applying for jobs. Try everything because you don't know if you'll actually like it, or be good at it until you have tried it. And networking is a must." AUT offers plenty of support if you need it, she adds. 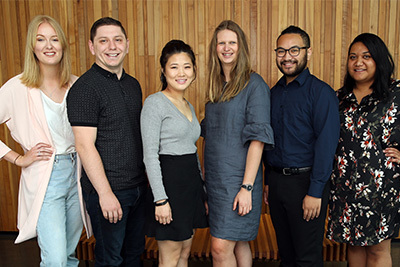 "AUT has a very innovative way of thinking and constantly adapts to its students and how each individual learns. The lecturers understand that everybody is different and learns in a different way. The services and technology available to the students are great as well."